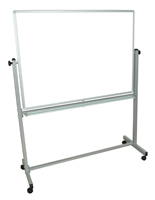 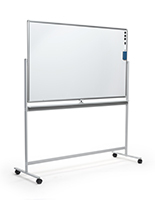 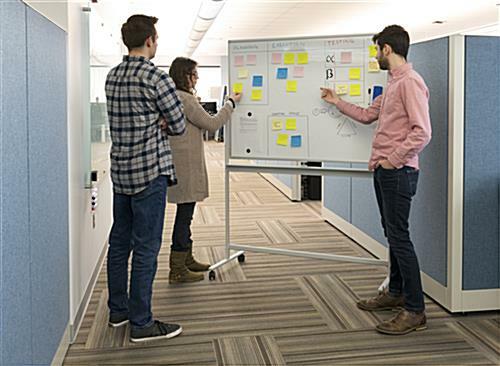 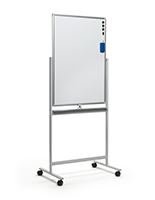 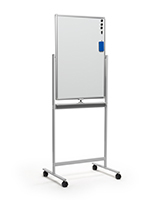 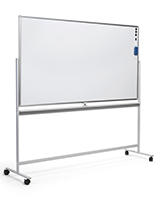 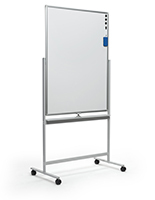 24" x 36" 28" x 40" 36" x 48"
60" x 36" 72" x 40"
Before you initiate your next team planning session, make a project task board from this rolling whiteboard. 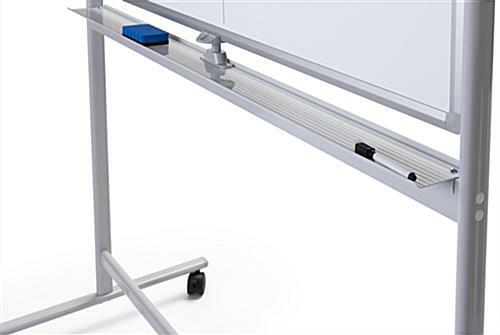 With a lightweight aluminum frame and locking wheels, you can do your writing just about anywhere. 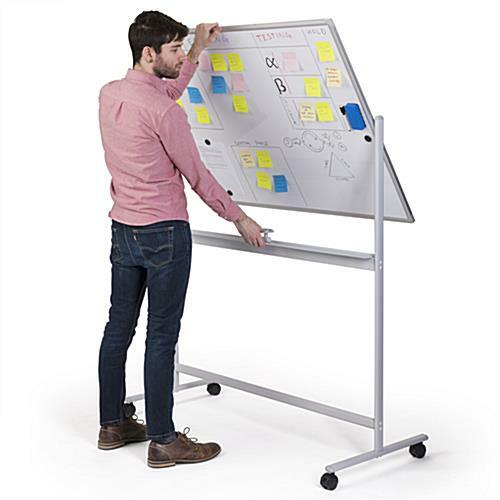 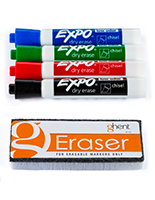 This double-sided whiteboard can be flipped over, changing it from a semi-permanent project task board into brainstorming visual, and back again, with ease. 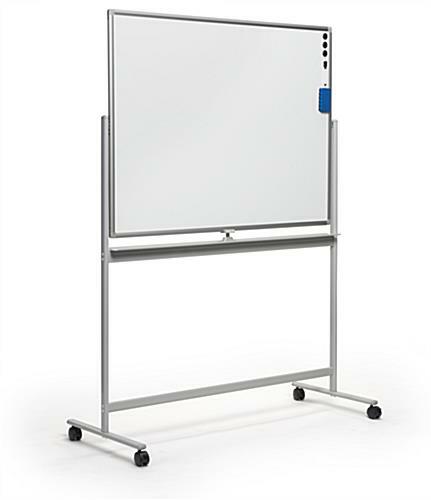 The magnetic painted steel surface allows you to frame your ideas in writing and attach physical printouts like photos, drawings, and documents for extra context. 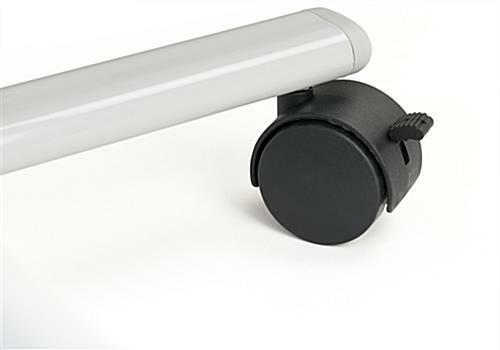 An easy-use lock means that flipping over to the reverse side is simple as can be, with no time spent fussing over knobs or tough latches. 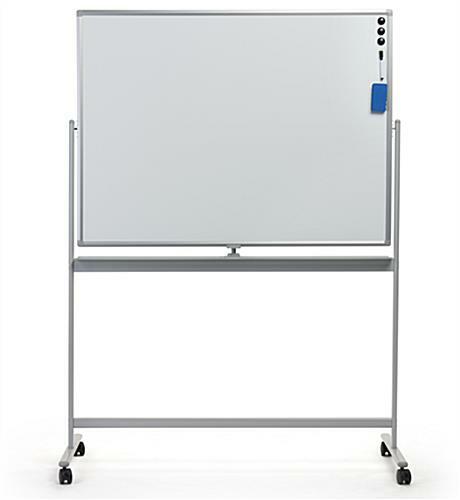 Even with limited space, the relatively slim size and attached wheels allow this whiteboard to fit most workplace setups. 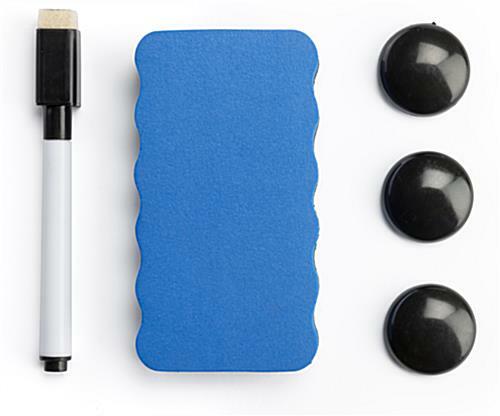 Make your own workflow visualization board and take your projects from to-do, to doing, to done. 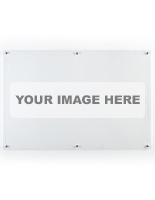 49.5" x 64.0" x 21.5"
47.3" x 0.25" x 3.0"